Samuel Franklin Keefer, age 93, resident of Waterford, PA, passed away peacefully on Monday, June 11, 2018 at Walnut Creek Healthcare and Rehabilitation Center in Erie. He was born in Union City, PA on August 23, 1924, son of the late Samuel and Matilda Bovard Keefer. Samuel was a veteran of the U.S. Army serving during World War II in Italy. 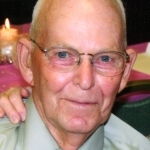 He was a volunteer firefighter with Stancliff Hose Company, a long-time member of Asbury United Methodist Church, and he worked as a meat cutter for many years. Samuel enjoyed golfing, bowling, and playing cards with his wife and friends. He was an avid Cleveland Indians fan and loved sitting on his front porch. In addition to his parents, he was preceded in death by his beloved wife of 74 years, Delores Owens Keefer who died December 4, 2017; two sisters, Mary Bozak and Hazel Davids; his son Danny R. Keefer; and grandson, Danny C. Keefer. Samuel will be dearly missed by his son and daughter-in-law, Dean and Margo Keefer; two grandchildren, Sarah Rowe (Davin) and Juliann Richling (Christopher); and four great-grandchildren, Samuel, Opal, Elizabeth and Harrison. 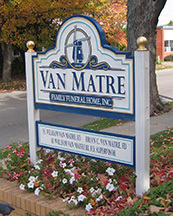 Friends may call at Van Matre Funeral Home in Waterford on Thursday from 1:00 p.m. until time of the funeral at 3:00 p.m. Officiating will be Rev. Gary Donaldson of Asbury Methodist Church. Burial will be in Waterford Cemetery. In lieu of flowers, memorials may be made to St. Patrick’s Haven, 5031 West Ridge Road, Erie, PA 16506.